I decided to start with the Fudge Brownie one. At this particular time I had an incredible craving for chocolate….not the norm for me, but it does happen once in a while, and I felt that basic chocolate chunk would not satisfy the desire. I NEEDED chocolate, so Fudge Brownie it was. Hey go big or go home. While waiting for them to cook I read the package. Fun and informative information about the company, cute blurb about the artist who did the cover art (they are different for each package if you note from the photo below) and a notice to NOT eat raw cookie dough no matter how tempting. That’s a bummer. Raw cookie dough can be pretty awesome, so I of course ignored that warning. Shhhhhhh. In under 15 minutes they were done. They looked promising, and while transferring them to wire racks to cool, one of them broke. Whoops. Well it’s a broken cookie, I can’t serve that now can I? So I tried it and…. After they cooled they were even BETTER. 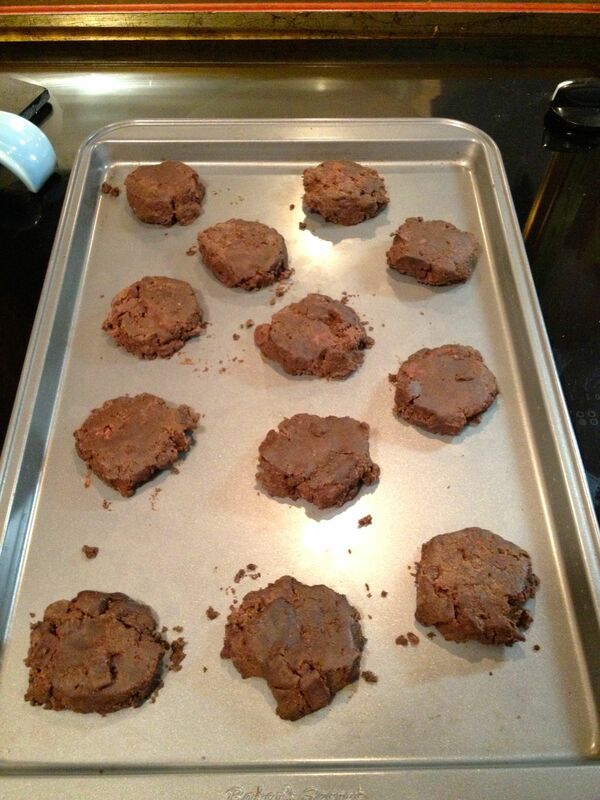 Chewy – unheard of in gluten free baked goods – rich, and densely fudgey. (Is that even a word?) Honestly they are, IMHO da BOMB! I think the trick is to make sure to NOT overcook them, so I am very glad I chose the lower heat setting and pulled them out after the minimal baking time. Overcooked, they would probably be to crispy. Immaculate gluten free cookie dough, at under $5 per package, are reasonably priced as well, and great to have in the fridge for those “out of the blue” cookie cravings. I have not yet baked and tried the chocolate chunk variety, but I guess in order to be completely fair in my review of this brand I will have to. And pass the milk please. The chocolate chunk is just as yummy. We made the mistake of “not” flattening them at all and we actually really liked them that way. 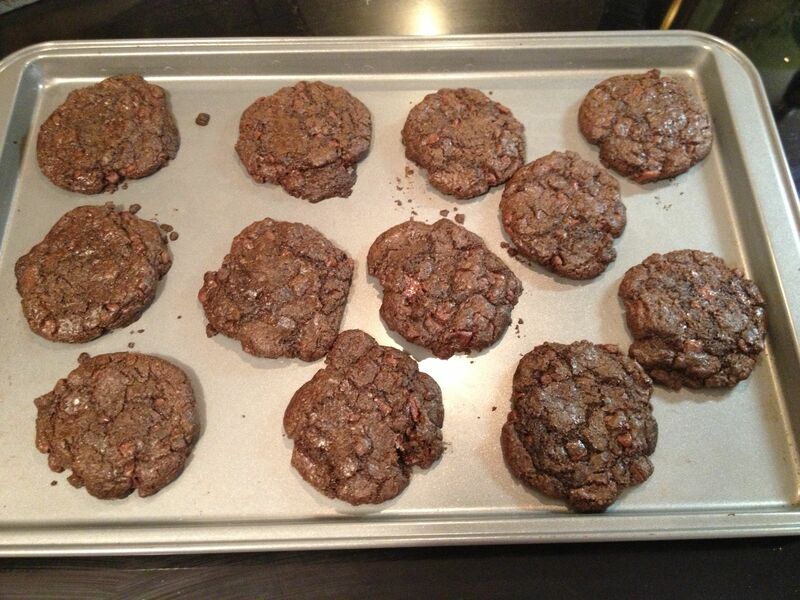 They were moist and chewy…every bit as good as those made with dairy and wheat!